All of the applications from the current portal will be displayed. Select the application you require. 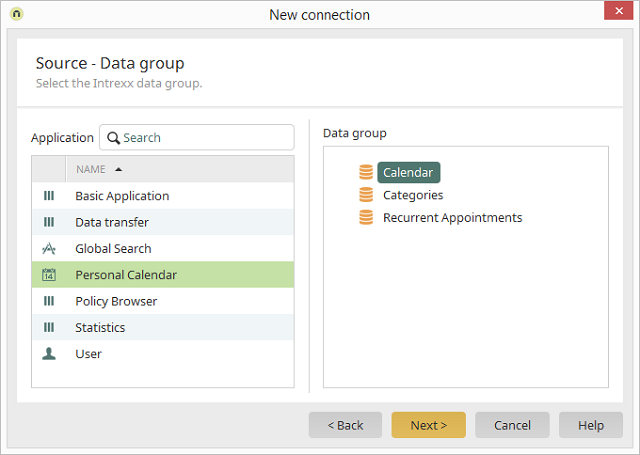 All of the data groups from the current application will be displayed. Select the data group you require.